The Missouri Supreme Court, in a unanimous decision filed on February 28, 2017, held that non-Missouri corporations would not be held subject to the personal general jurisdiction of Missouri courts in civil suits, unless the corporation was organized under Missouri law, had its principal place of business in Missouri, or it was an “exceptional case” such that its activities in the state were “so substantial and of such a nature to render the corporation at home in the state.” This represents a big change in Missouri law for out-of-state corporate defendants sued by non-Missouri residents in Missouri courts for actions and/or exposures (such as to asbestos or other toxic substances) that occurred in states other than Missouri. 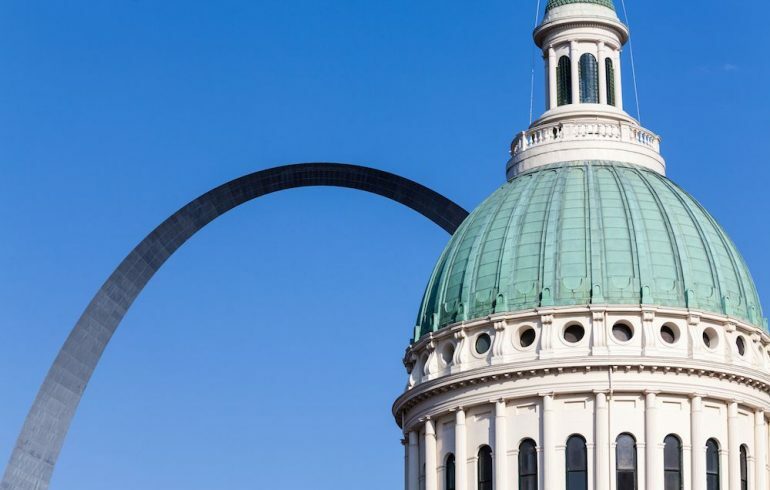 The Court also clarified that merely registering to do business in Missouri with the Missouri Secretary of State, or owning property in Missouri, would also not sufficient to show consent to personal jurisdiction by the Missouri Courts. In State ex rel. Norfolk Southern Railway Company v. The Honorable Colleen Dolan, SC95514, (Feb. 28, 2017), the Missouri Supreme Court held, in a FELA case, that Missouri did not have specific or general jurisdiction over the Norfolk Southern Railway company (“Norfolk”) where the injury to the plaintiff Russell Parker, an Indiana resident, occurred in Indiana as a result of his work for Norfolk in Indiana. The Supreme Court analyzed both federal and Missouri law on the issue of personal jurisdiction. The Court reaffirmed the general principle that personal jurisdiction over a defendant can be based either general or specific jurisdiction. In noting various decisions by the U.S. Supreme Court on the subject, the Missouri Supreme Court followed the 2014 Daimler AG v. Bauman 134 S. Ct. 746 (2014) decision that found a state could exercise jurisdiction over a non-resident defendant in a suit not arising or related to that defendant’s contacts with that state, only when the state it is the corporation’s place of incorporation, or its principal place of business, or in certain limited “truly exceptional cases.” The Missouri Supreme Court held that the prior “continuous and systematic” business test for personal jurisdiction over a foreign corporation was no longer a valid argument to support a finding of personal jurisdiction over a non-resident corporate defendant. The Missouri Supreme Court further noted that conducting business within the state, including owning railroad tracks, having less than 100 employees in the state or conducting 2 percent of its business in the State did not create personal jurisdiction over the non-resident corporate defendant. One argument that many plaintiffs and their counsel have been raising, since the 2014 Daimler decision to defeat defense motions to dismiss for lack of personal jurisdiction, was that by registering to do business with Missouri’s Secretary of State, the corporation implicitly consented to general personal jurisdiction. Following a 2016 Delaware Supreme Court decision, Genuine Parts Company v. Cepec, 137 A.3d 123 (Del. 2016), the Missouri Supreme Court rejected the proposition that the language of Missouri’s registration statutes could be extended to imply a consent to personal jurisdiction by the non-resident corporate defendant. The Missouri Supreme Court further held that the venue portion of the FELA statute did not bestow personal jurisdiction over a railroad defendant. Finally, the Court addressed plaintiff’s counsel argument that specific jurisdiction existed over the railroad in Missouri. The Missouri Supreme Court rejected the proposition that, because the railroad defendant had availed itself of doing some business in Missouri, it would be subject to specific jurisdiction in Missouri, including jurisdiction for cases unrelated to the railroad’s activities in the forum. The Supreme Court held that such an argument would completely do away with the long recognized distinction between general and specific personal jurisdiction, and would further undermine the U.S. Supreme Court’s Daimler test for general jurisdiction. What does this mean for non-Missouri corporations sued in Missouri for non-Missouri incidents? Where appropriate, out-of-state corporate defendants should file motions to dismiss for lack of personal jurisdiction, citing the Norfolk Southern v. Dolan as persuasive authority. While plaintiffs’ counsel may seek discovery against the out-of-state corporate defendant to try to establish the extent of its business contacts in Missouri, in many cases the non-resident corporate defendants will be able to defeat the maintenance of civil actions against them in Missouri. This may prove to be especially important in asbestos and other mass tort cases currently being filed in Missouri by non-resident plaintiffs.